The signature product from Alphabet-owned life sciences company, Verily, is still a long way from hitting the real world. The glucose-sensing smart contact lens that Google first announced in 2014 is still just “slideware” that doesn’t exist outside of PowerPoint presentations, according to a former Verily manager who spoke to Stat’s Charles Piller as part of a critical look at the company’s current endeavours. The contact lens project aims to provide an alternative for people with diabetes who currently have to prick their fingers to test their blood glucose levels. 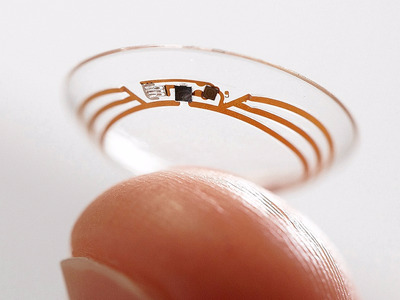 Instead, the lens could monitor the glucose levels in their tears. But the Stat report questions whether the lens will ever be scientifically feasible. Pillar reports that the company’s prototype didn’t work and that previous attempts from other companies to make similar products have all failed for the same reason: tears can’t accurately reflect bodily glucose levels. Verily disputes that the correlation between tear and blood glucose levels has been concretely proven as inaccurate and adds that its lenses are trying to improve upon a tear-collection method that may have skewed earlier research. But chemist John Smith tells Stat that he’s sceptical. The lens project actually spurred the creation of Verily as an independent Alphabet subsidiary company and healthcare company Novartis partnered with the team in summer 2014 to develop and commercialize the product. But those efforts are still in the research phase, Novartis tells Stat. Verily wasn’t immediately available for comment. The Stat report also takes a critical look at some of Verily’s other efforts, like its cancer-detecting magnetic nanoparticles and its health study, Baseline. Read the full report here.